Original Wilmot's Patent .58 caliber Expansible Tompion. Hard to find in this condition! 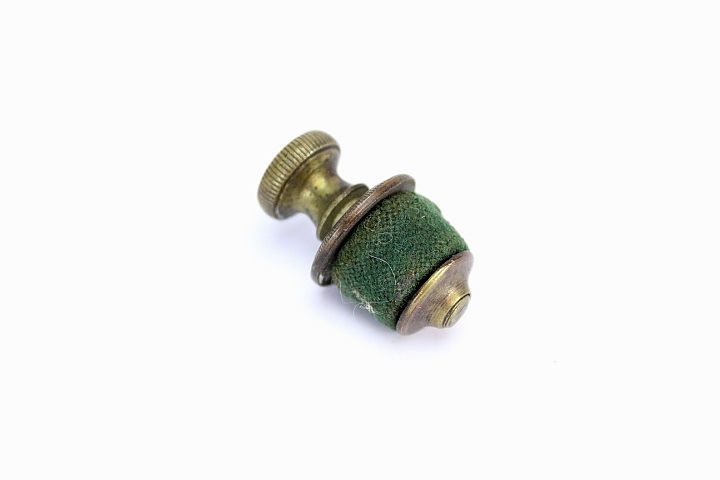 The metal parts are brass, fitted to an expanding rubber plug, covered with wool cloth. Turning the serrated top turned a screw thread that squeezed and expanded the plug to tightly fit the muzzle. Patent date still legible on top brass piece. See picture and full write up in Volume 1: GUN TOOLS: THEIR HISTORY AND IDENTIFICATION BY SHAFFER, RUTLEDGE AND DORSEY.